Our 2016 vintage has vivid raspberry and blackberry fruit, balanced with subtle spice and delicate rose notes. A lush and silky mouthfeel leads into a long, elegant ﬁnish. Our 2011 SLH is an elegant wine crafted from exceptional fruit. Intense and complex, this Pinot Noir is rich with black fruits, cherry and anise with a hint of cola. This single-clone, single-vineyard bottling from Viento Vineyard, our 2015 Clone 667, displays characteristic dark color, elegant bouquet, silky texture, and ripe, lavish fruit. 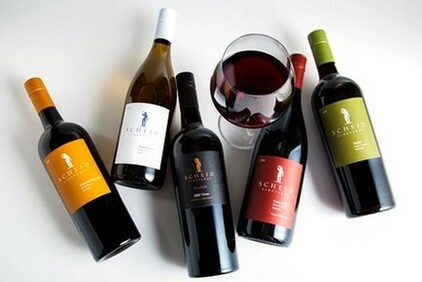 A dramatic and vibrant wine, our Scheid Vineyards Clone POM has aromas of black cherries, blackberries and currants with notes of vanilla, mocha, and oak, mingled with a hint of clove. It is a classic Pinot Noir, with soft tannins and round, rich, red fruit on the palate. A dramatic and vibrant wine, our Scheid Vineyards Clone POM has aromas of black cherries, plums, cedar and vanilla mingled with a hint of clove. On the heels of three excellent vintages, you can say we were stoked that the 2015 Tannat made the cut to warrant its own bottling again. It’s full-bodied yet approachable, with robust flavors of blackberry and plum, hints of smoky oak and spice, and a long, generous finish. With ripe, juicy flavors of black cherry and raspberry unfolding into a lingering sweet oak finish, we’re proud to present our 2016 Old Vine Zinfandel or, as we affectionately call it, Zin Bob’s Way.